When: Wednesday, November 28 at 10 p.m. The gist: Hollywood’s favorite couple, John Legend and Chrissy Teigen, will host an hour-long yuletide extravaganza featuring a cavalcade of special guests, including Stevie Wonder, Kim Kardashian, Zach Galifianakis, Raphael Saadiq, and Kenan Thompson. The trailer indicates that the special will have plenty of singing as well as some cooking, and at least one scene involving Crazy Rich Asians star Awkwafina and a giant lollipop. Antoni Porowski and the rest of the Queer Eye gang will also make a cameo on the hour-long special, and expect a few plugs for John’s new Christmas album and Chrissy’s new Cravings book. 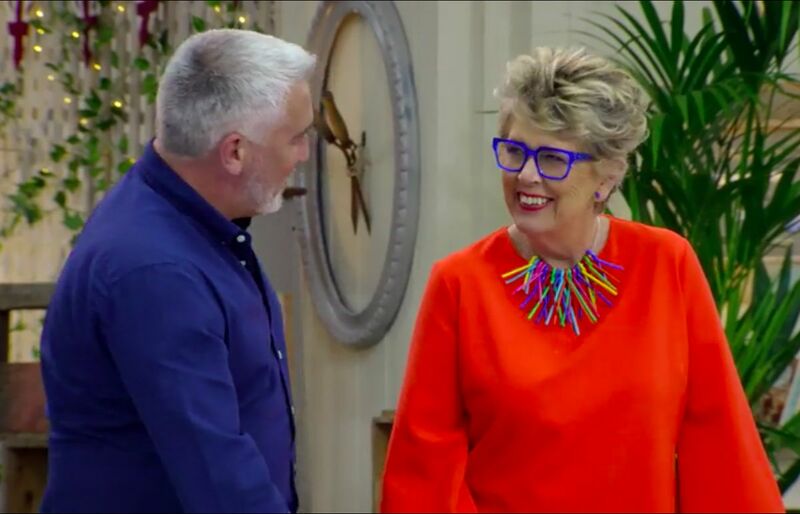 The gist: Just three weeks after the US premiere of the Baking Show’s sixth season, Netflix is gifting viewers with a one-off holiday special hosted by judges Paul Hollywood and Prue Leith. The pastry experts will be welcoming “some favorite bakers back to the tent for a holiday confection competition.” A trailer for all of Netflix’s holiday shows includes shots of a half dozen or so bakers making holiday specialties, and a full band and children’s choir performing Christmas tunes outside the tent.